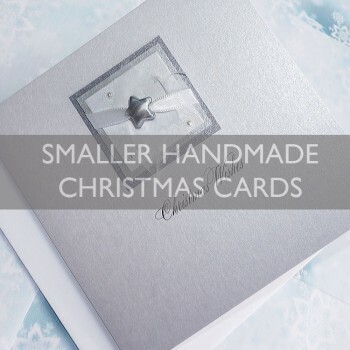 A unique collection of handmade Christmas cards, still the same great quality as our luxury cards, but smaller cards and simpler designs which are available from under £2 per card. 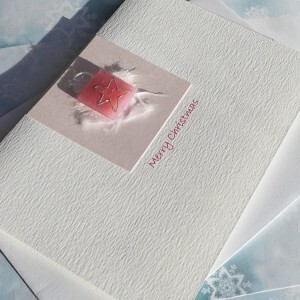 Delight your friends and family with affordable hand made Christmas Cards. 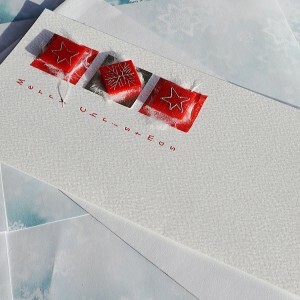 All cards can be personalised both inside and out and all are supplied with white envelopes. 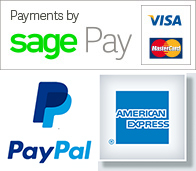 These cards are also available in larger multi packs for additional savings. 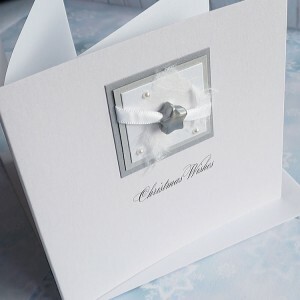 We welcome corporate orders - wow your customers with hand made yet professionally finished Christmas Cards, with prices from under £2 including all personalisation. 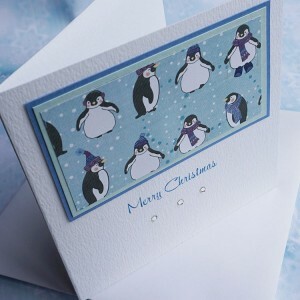 Handmade Christmas Card "Cute Penguins"
Handmade Personalised Christmas Card "Cute Penguins" These cute penguins will be sure to.. 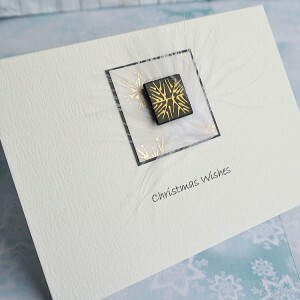 Handmade Christmas Card "Polka" This lovely festive card features a silver star bead. C.. 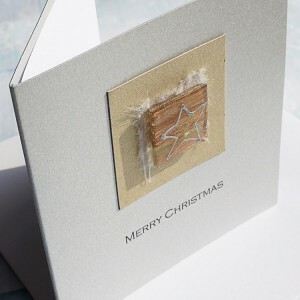 Handmade Christmas Card "Sparkly Star"
Handmade Christmas Card "Sparkly Star" This lovely festive card features a silver star hand-p.. 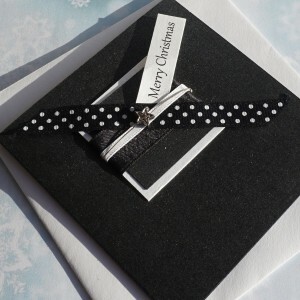 Handmade Christmas Card "Black & Silver"
Personalised Handmade Christmas Card "Black & Silver" This Xmas Card features a silver sn.. 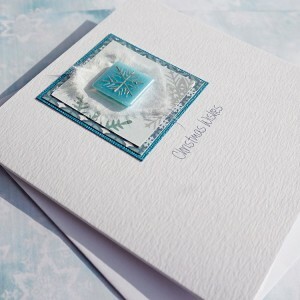 Handmade Christmas Card "Blue Sparkly Snowflake"
Personalised Handmade Christmas Card "Blue Sparkly Snowflakes" This lovely festive blue and w.. 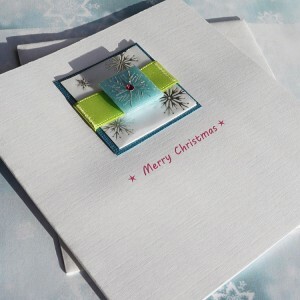 Handmade Christmas Card "Colourful Xmas"
Personalised Handmade Christmas Card "Colourful Xmas" A colourful Christmas card, this design.. Handmade Christmas Card "Feathers & Snowflakes"
Personalised Handmade Christmas Card "Feathers & Snowflakes" A hand-painted silver s.. Handmade Christmas Card "Xmas Trio"
Handmade Personalised Christmas Card "Xmas Trio" A traditional Christmas card, this design&nb.. Handmade Christmas Card "Black & Gold"
Personalised Handmade Christmas Card "Black & Gold" A traditional Christmas card, this de.. 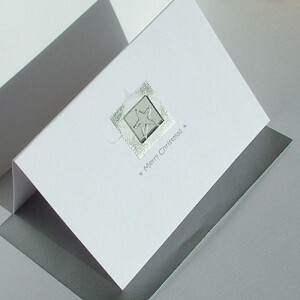 Handmade Christmas Card "Silver Mirror"
Handmade Christmas Card "Silver Mirror" A traditional Christmas card, this simple design .. 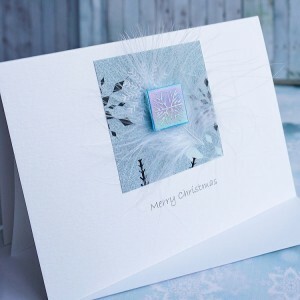 Handmade Christmas Card "Silver Night"
Handmade Personalised Christmas Card "Silver Night" Created on pearlescent white card (looks .. Handmade Christmas Card "Pink Star"
Handmade Christmas Card "Pink Star" Created on textured white card this pretty xmas card feat..
Purple Mountain Designs, 54 Moor Drive, Oakworth, BD22 7RF, UK.